Summary: There are so many options available in the marketplace when it comes to health insurance. It is not prudent to pick the first option you come across. Here are questions you should ask to make sure you get the right plan for your needs. Having adequate health insurance is vital for many reasons. Illness can strike anyone at anytime and can be a considerable financial burden if the individual is not insured. With more than 24 general insurance companies and a few more health insurance companies, it becomes a difficult choice as to which policy to choose and what is the right premium for the coverage offered by multiple companies. So here is a primer on what questions to ask when purchasing a health insurance policy. This transaction needs to be understood properly - both by the seller and the buyer. For the seller, he/she has to understand what does the buyer want; understand the buyer’s requirements including budget. There is no point in selling an iPhone to a person who wants a mobile phone for around INR 10,000 - is there? The seller should ask a series of questions, that will elicit the answers which will then form the backdrop of what kind of a product would meet the requirements of the proposer. Family: What is the definition of the family under the policy? 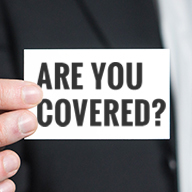 Who all can be covered? Benefits: Are there any sub limits or is the sum insured the limit for individual items? Some policies have a limit on Room Rent at 1% and for ICU it is 2%. If the room rent exceeds these limits, in terms of Rupee value, then the reimbursement under the policy is seriously compromised. Are there any limits for specific diseases? What are the various time exclusions? How quickly will the policy document be sent ? Is the premium on zone wise basis or not. Prepare a list of questions and then shoot them at the seller. Last but not the least, do not base your decision only on the price. Disclaimer: I am an Insurance Advisor and my answers are carrier neutral.